Also known as Attention Deficit Hyperactivity Disorder (ADHD) and is defined as age-inappropriate impulsiveness. lack of concentration, and sometimes-excessive physical activity. Persons most commonly affected: Children of both sexes in the preschool and early school years. The disorder affects boys more often than girls. Symptoms and indications: The principal characteristics of ADHD are inattention, hyperactivity, and impulsivity. These symptoms appear early in a child's life. Symptoms of ADHD will appear over the course of many months, often with the symptoms of impulsiveness and hyperactivity preceding those of inattention, which may not emerge for a year or more. Different symptoms may appear in different settings, depending on the demands the situation may pose for the child's self-control. A child who "can't sit still" or is otherwise disruptive will be noticeable in school, but the inattentive daydreamer may be overlooked. The impulsive child who acts before thinking may be considered just a "discipline problem," while the child who is passive or sluggish may be viewed as merely unmotivated. Yet both may have different types of ADHD. All children are sometimes restless, sometimes act without thinking, sometimes daydream the time away. When the child's hyperactivity, distractibility, poor concentration, or impulsivity begin to affect performance in school, social relationships with other children, or behavior at home, ADHD may be suspected. But because the symptoms vary so much across settings, ADHD is not easy to diagnose. This is especially true when inattentiveness is the primary symptom. Some signs of hyperactivity-impulsivity are: Feeling restless, often fidgeting with hands or feet, or squirming while seated; Running, climbing, or leaving a seat in situations where sitting or quiet behavior is expected; Blurting out answers before hearing the whole question; Frequent tantrums; and Having difficulty waiting in line or taking turns. Causes and risk factors: There is little compelling evidence at this time that ADHD can arise purely from social factors or child-rearing methods. Most substantiated causes appear to fall in the realm of neurobiology and genetics. This is not to say that environmental factors may not influence the severity of the disorder, and especially the degree of impairment and suffering the child may experience, but that such factors do not seem to give rise to the condition by themselves. The parents' focus should be on looking forward and finding the best possible way to help their child. More evidence is being found that ADHD does not stem from the home environment, but from biological causes. Knowing this can remove a huge burden of guilt from parents who might blame themselves for their child's behavior. Environmental Agents : Studies have shown a possible correlation between the use of cigarettes and alcohol during pregnancy and risk for ADHD in the offspring of that pregnancy. As a precaution, it is best during pregnancy to refrain from both cigarette and alcohol use. Another environmental agent that may be associated with a higher risk of ADHD is high levels of lead in the bodies of young preschool children. Since lead is no longer allowed in paint and is usually found only in older buildings, exposure to toxic levels is not as prevalent as it once was. Children who live in old buildings in which lead still exists in the plumbing or in lead paint that has been painted over may be at risk. Brain Injury : One early theory was that attention disorders were caused by brain injury. Some children who have suffered accidents leading to brain injury may show some signs of behavior similar to that of ADHD, but only a small percentage of children with ADHD have been found to have suffered a traumatic brain injury. Food Additives and Sugar : It has been suggested that attention disorders are caused by refined sugar or food additives, or that symptoms of ADHD are exacerbated by sugar or food additives. In 1982, the National Institutes of Health held a scientific consensus conference to discuss this issue. It was found that diet restrictions helped about 5 percent of children with ADHD, mostly young children who had food allergies. A more recent study on the effect of sugar on children, using sugar one day and a sugar substitute on alternate days, without parents, staff, or children knowing which substance was being used, showed no significant effects of the sugar on behavior or learning. In another study, children whose mothers felt they were sugar-sensitive were given aspartame as a substitute for sugar. Half the mothers were told their children were given sugar, half that their children were given aspartame. The mothers who thought their children had received sugar rated them as more hyperactive than the other children and were more critical of their behavior. Genetics : Attention disorders often run in families, so there are likely to be genetic influences. Studies indicate that 25 percent of the close relatives in the families of ADHD children also have ADHD, whereas the rate is about 5 percent in the general population. Many studies of twins now show that a strong genetic influence exists in the disorder. Researchers continue to study the genetic contribution to ADHD and to identify the genes that cause a person to be susceptible to ADHD. Since its inception in 1999, the Attention-Deficit Hyperactivity Disorder Molecular Genetics Network has served as a way for researchers to share findings regarding possible genetic influences on ADHD. All of these parts of the brain have been studied through the use of various methods for seeing into or imaging the brain. These methods include functional magnetic resonance imaging (fMRI) positron emission tomography (PET), and single photon emission computed tomography (SPECT). The main or central psychological deficits in those with ADHD have been linked through these studies. By 2002 the researchers in the NIMH Child Psychiatry Branch had studied 152 boys and girls with ADHD, matched with 139 age- and gender-matched controls without ADHD. The children were scanned at least twice, some as many as four times over a decade. As a group, the ADHD children showed 3-4 percent smaller brain volumes in all regions�the frontal lobes, temporal gray matter, caudate nucleus, and cerebellum. This study also showed that the ADHD children who were on medication had a white matter volume that did not differ from that of controls. Those never-medicated patients had an abnormally small volume of white matter. The white matter consists of fibers that establish long-distance connections between brain regions. It normally thickens as a child grows older and the brain matures. Prevention: Limit distractions in the child's environment. Provide one-on-one instruction with teacher. Make sure the child gets enough sleep. Make sure the child gets a healthy, varied diet, with plenty of fiber and basic nutrients. Sugar is famous for making children hyper, and, in fact, excess sucrose often leads to hypoglycemia, a factor in ADHD. Obviously, candy, sodas, and sweets are out of the questions, but so are most store-bought fruit juices, which usually contain addes sugar, and products made with while flour. 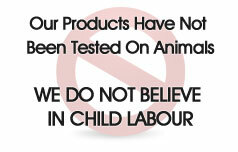 Do not feed your child anything with artificial colours, flavours, or preservatives. This means that you will have to eliminate fast food. as well as junk and precessed food.